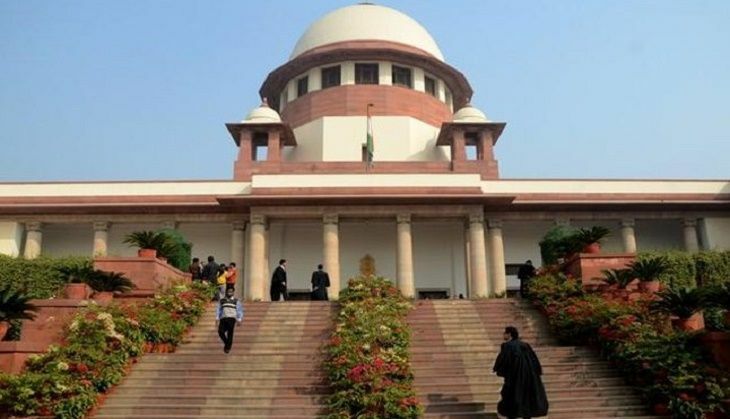 The Supreme Court is set to pronounce its order on the plea filed by the Justice R.M. Lodha committee on 7 October, seeking to replace the current Board of Control for Cricket in India (BCCI) brass for impeding the panel's work to usher in transparency and accountability in Indian cricket administration. The court decided to pass an order on the implementation of the Lodha Committee recommendations today after the BCCI counsel declined to give an unconditional undertaking by today that it will seek instructions to stop funds to state bodies and abide by the committee's recommendations. The BCCI on Thursday, however, faced the wrath of the apex court for its defiant attitude in implementing the directions of the Lodha committee to reform cricket in the country. The court also rebuked the cricket body for hurriedly disbursing around Rs 400 crore to state bodies. A bench led by Chief Justice of India T.S. Thakur said that BCCI's defiant attitude will not lead anywhere. It further emphasised that transparency, fairness and objectivity were most important aspects in all decisions including disbursal of funds by BCCI. The bench said that BCCI cannot pass the buck and allow state bodies to defy reforms. The court on Thursday called on BCCI not to belittle the Justice RM Lodha-led committee and directed it to resolve "any outstanding issues" with the panel. Chief Justice T.S. Thakur stated, "Lodha panel is not an ordinary panel. It is headed by a former CJI. If you have any outstanding issues, go to the panel." The apex court observed that "either BCCI elects new administrators or the Lodha panel gives more time to BCCI to fall in line" and asked the cash-rich cricket body "will you implement the Lodha Committee recommendation or not?" Earlier in the day, the BCCI in its response in the court had refuted allegations of non-compliance with the Lodha panel's recommendations, saying that "records of 40 mails" exchanged with Justice Lodha would be submitted before the apex court. "Records of 40 mails sent to Justice Lodha will be submitted to the court, not true that we didn't respond to Committee's mails," the BCCI said in its response. Last week, the Lodha committee had submitted its status report with the Supreme Court, accusing the BCCI of defying the apex court's orders and stalling its proposed reforms. It also recommended the ouster of the entire top brass of the cash-rich cricket body. In its report, the panel had stated that the BCCI was not implementing its recommendations aimed at reforming the country's cricket governing body. The move came after the BCCI appointed a five-member selection committee during its Annual General Meeting (AGM) on September 21, which was in violation to the Lodha panel's guidelines. Tearing into the BCCI for ignoring the directions of the Lodha panel, the apex court had given the cricket governing body time till October 6 to respond to the panel's report. In its October 1 Special General Meeting, the BCCI had accepted many of the "significant recommendations" of the Lodha Committee, however, it excluded the important ones which have been bone of contention between the cricket body and the Lodha Panel. Defending its action, the BCCI said, "a meeting comprising all members took place, and several recommendations of the Lodha Committee were rejected by voting".